Bytes is a new expander for the Turing Machine which adds manual and CV control of the Turing Machine's pattern length. By default, the Turing Machine generates 8-step or 16-step fixed length patterns. Bytes enables arbitrary pattern lengths for non-standard time signatures. 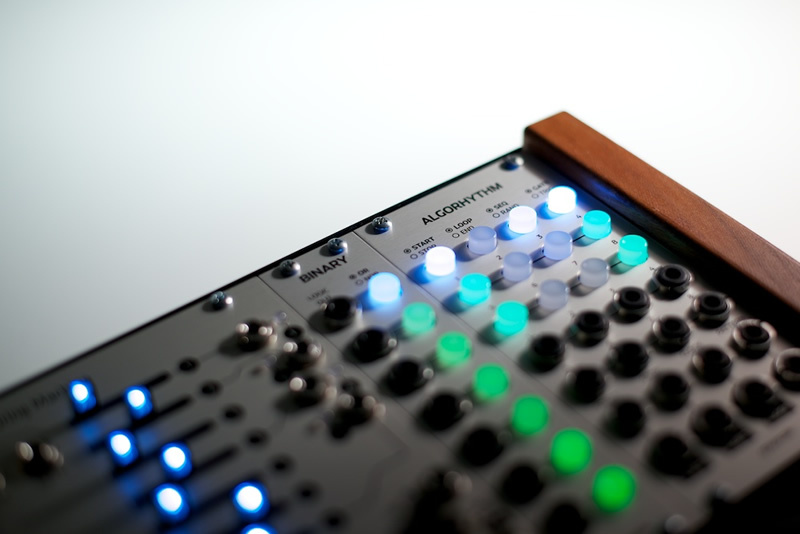 The panel and layout was designed in collaboration with Circuit Shaman, the creator of the Bytes PCB. See the Muffwiggler thread for details. This is a bundle that includes the Bytes PCB and front panel. Bytes PCBs are not available separately.